Berzerk--and soared into the multi-dimensional cosmos in Star Raiders. be designed from scratch--and fast! with it," editor Giordano recalled. through space, but through time and into alternate dimensions as well. Thomas match the dialogue precisely with the finished art. communicating the excitement of the story. characters for a year--I know them better than anyone else." 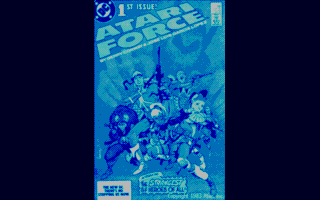 At this point, the first issues of Atari Force were ready for the printer. 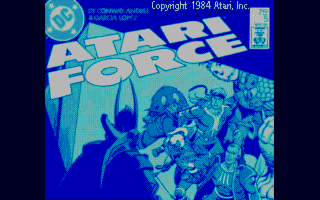 your seatbelts, fans--the Atari Force is really taking off!